Hiab, part of Cargotec, has received the exclusive title 'Unimog Expert Partner' in accordance with a demanding test and selection procedure by Mercedes Benz Special Trucks. Only 16 partners so far have been awarded with this honour, which means that they have met the special requirements for sales, service, quality and technology. 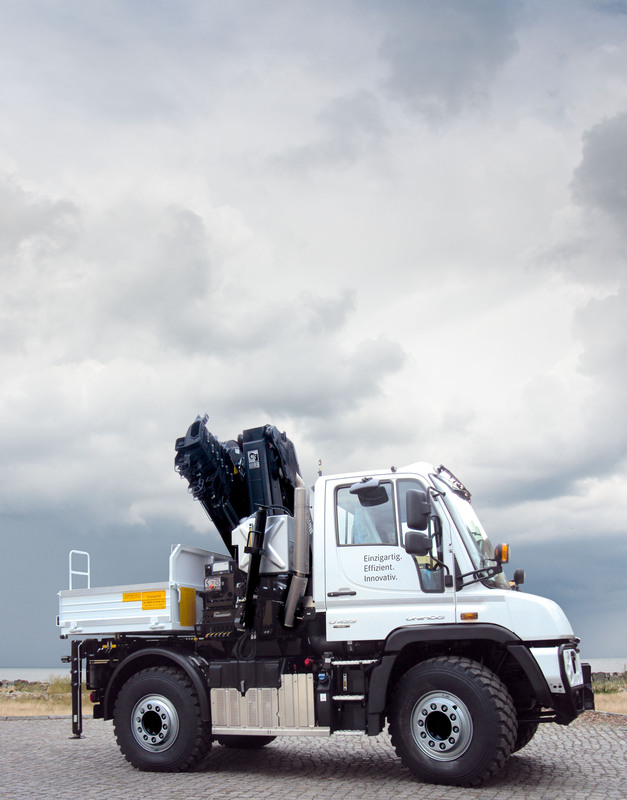 "Hiab is justifiably proud of this honour as a Mercedes Benz Unimog Expert Partner, which, at present, means a clear unique selling point (USP) for us," said Wilfried Tschich, Vice President, Central Europe. 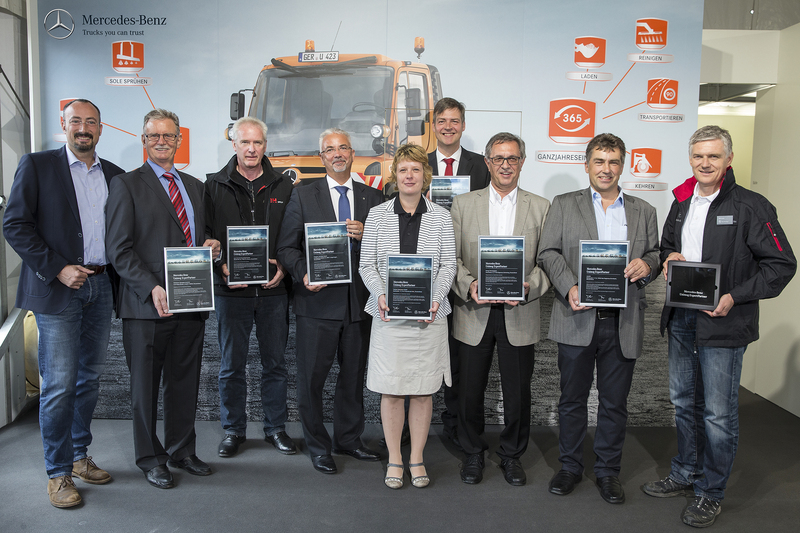 Hiab was awarded the certificate at Demopark 2015 trade fair in Eisenach, Germany. With the slogan "It's better together", Unimog has further optimised the partnership with its body builders and implement manufacturers. The project includes comprehensive requirements of the Unimog partners as well as two possible partnership levels 'Unimog Partner by Mercedes Benz' and 'Mercedes Benz Unimog Expert Partner'. There are more stringent requirements applicable to the 'Mercedes-Benz Unimog Expert Partner' than those for 'Unimog Partner by Mercedes-Benz'. The basis of the evaluation is a requirements catalogue, which includes the fields of sales, service, quality and technology. For this purpose, a team of Mercedes-Benz Special Trucks has set out to learn locally what they hope to gain from a partnership model and how the partnership can be optimised in the different fields in the course of personal discussions held with select body builders and implement manufacturers of the Unimog model. The partners are then classified in the appropriate partnership level depending on how far they meet the requirements criteria set. Of the total of 270 body builder or implement manufacturers listed with Mercedes-Benz Special Trucks, only 16 partners have been bestowed with the honour as 'Mercedes Benz Unimog Expert Partner' so far. "This award is for Hiab not only the result of an extensive certification process, but also a proof of our long and successful co-operation with Unimog. Both sides are equally committed to provide the customer with a specialised vehicle to meet highest requirements," concludes Frank Sparmann, Sales Manager Germany for Loader Cranes, Forestry Cranes and Demountables. Hiab on Unimog, a partnership with tradition!